Your throne sits on top of your defeated enemies. 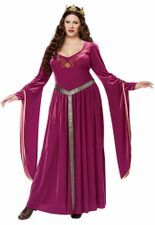 The Dark Monarch plus size costume includes a black tunic top with silver trim, a detachable black velveteen cape, a silver faux chain accent, a belt and a a sculpted vinyl crown. Cape velcros to the shoulders of the tunic. 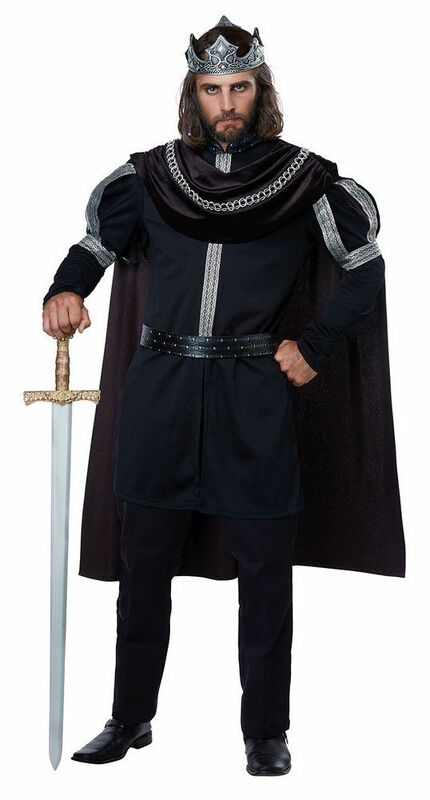 Please see our sizing chart for detailed measurements of this costume.